So the fundamentals and the technical analysis are correct! The News and the charts are correct. 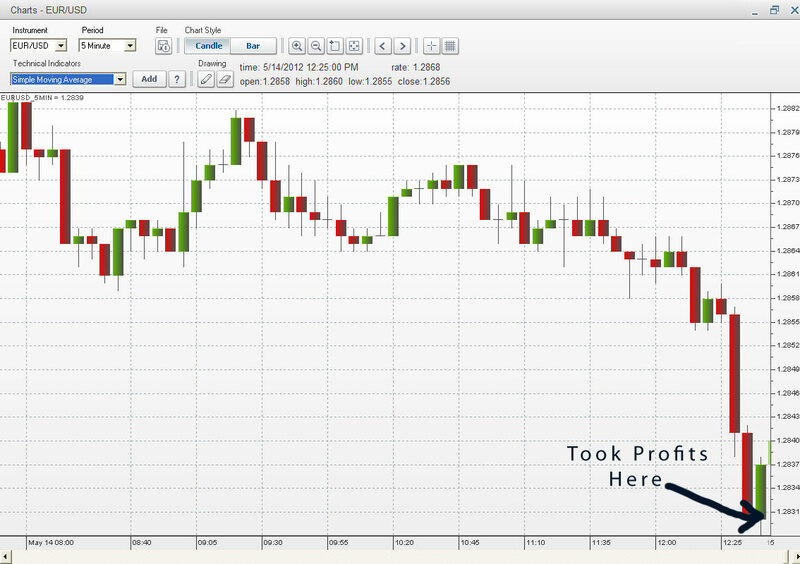 We profited 143Pips! (imagine if you bought million units). It seems that it is because of risk aversion because of the uncertainty in European Union. I closed it when it reached 1.2831. It fell a bit more but then it is now rising up again. There is no data release for United States today, so it’s all about what’s happening in Eurozone. Greece grabbed more attention now than Spain as it seems to have bigger problem now with their Government, they might as well exit the European Union. Analyst even says that it might reach the 1.2600 mark (it actually reach it last January) there is no sign of Euro reversing the trend but I pulled my profit out anyways and will wait for a new entry point. I’m keeping a sharp eye for a new downward pattern.